Special only for our subscribers! Login to listen to this archived interview of Malachi Martin from March of 1997. This was one of our most popular interviews of all-time. 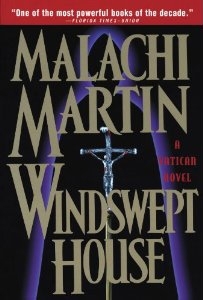 Vatican historian Dr. Malachi Martin, author of Windswept House and The Keys of this Blood talks about the future of the Vatican and the Roman Catholic hierarchy. 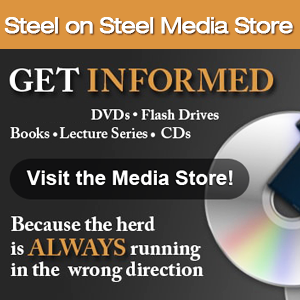 Martin includes information on the poisoning of two popes in this century as well as formal Satanic worship participation by Vatican members. The Sabbath is the 7th day of the week, which is Saturday as God commanded in Genesis when He finished creating everything… including man. He wrote it in stone with His own finger for Moses. Jesus, God’s Son came to earth and He declared He did not come to change one dot or tittle of God’s Laws. Revelation makes it clear that if you want to join Jesus when He comes again, then you have got to obey ALL of the Commandments. This definitely includes the fourth one which is to keep the Sabbath holy. The Roman Catholics changing it to Sunday does not mean a hill of beans. That is nothing more than arrogant tradition on all the churches parts that do observe Sunday as the Sabbath. Jesus worshiped on the 7th day as did all of His disciples and apostles. So did the early Christians until Constantine instituted Sunday worship in 321 AD. Jesus Christ rose from the Dead on Easter SUNDAY hence the Sabbath is Sunday, the day of rest and of prayer. “Perhaps the boldest thing, the most revolutionary change the church ever did happened in the first century. The holy day, the sabbath, was changed from Sabbath to Sunday…not from any directions noted in the scriptures, but from the churches sense of its own power. People who think that the scriptures should be the sole authority…should logically become Seventh-day Adventists [or sabbatarians] and keep Saturday holy”.